Membership of jogscotland is FREE! Just click the button and fill out our online membership form. If you are already a jogscotland member, you can click the button to log in to your account online. You’ll be able to see when your account is due for renewal (which is also free), amend your communications preferences and give us useful information about your jogging life. Please note: We launched a new membership system on 19 November 2018. All existing members should have received an email asking them to verify their account (please check your junkmail if this was not received). You can also verify your account via this link. You can also use our Group Finder to locate your nearest group, and get in touch with the group’s Jog Leader to find out more. 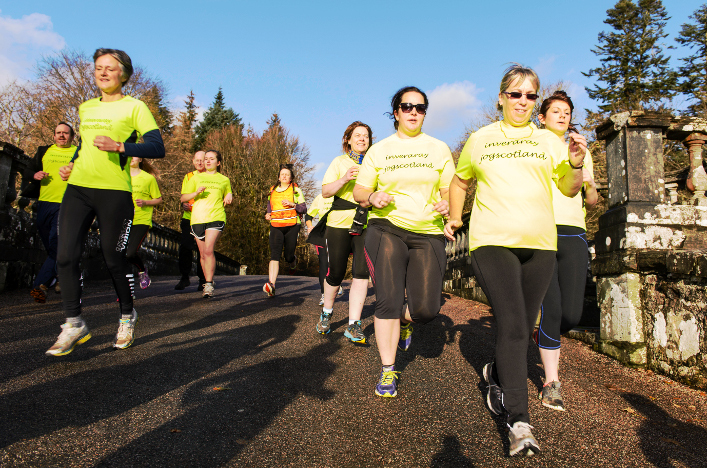 You can go along and jog with any of the 400+ jogscotland groups around the country! Some are free, others make a small charge, but we aim to keep jogscotland affordable. You’ll also receive a copy of Stride, our digital magazine, four times a year. We ask all members to renew with us once a year. There’s no charge – it just helps us keep track of who’s an active member. You’ll receive an email to your registered email address reminding you when it’s time to renew. As a member of jogscotland you are entitled to a 20% discount on AfterShokz’s range of bone-conducting sports headphones using the discount code sent to you by email when you join. We also ask all Jog Leader members to renew on an annual basis. There is no charge for this renewal, but it enables us to ensure our records are up-to-date. We will contact you when your membership is due for renewal.